Puppies that have no protection and are allowed to roam through endemic areas may suffer a scary condition called tick paralysis as a result of being bitten by ticks. 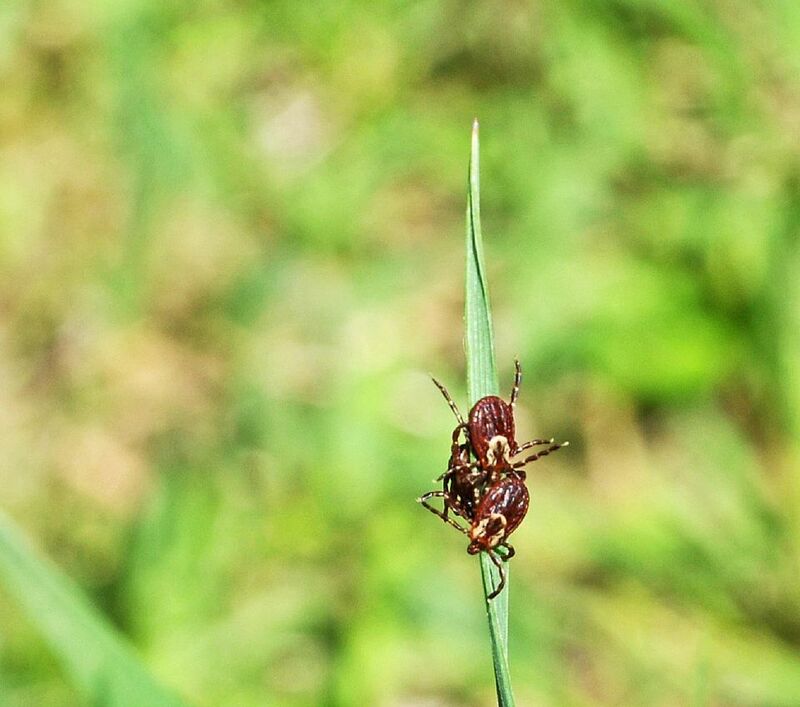 While in many cases, more than one tick bite is present, tick paralysis can happen as a result of a single tick bite. What is Tick Bite Paralysis? Tick bite paralysis is a progressive condition that most commonly affects dogs, sheep, and, rarely, humans. It's caused by a neurotoxin found in the saliva of some ticks. The disease has a worldwide distribution, but the species responsible have not been identified in all countries. Paralysis usually doesn't develop until ticks have been attached and feeding for about six to nine days. The puppy typically feels no particular discomfort, but over a 48 to 72 hour period, affected dogs become progressively weaker. First signs may be an elevated temperature, sometimes vomiting, an altered funny sounding bark or difficulty swallowing or eating. But you may not notice anything is wrong until the puppy develops a wobbly or weak gait in the rear legs. It looks similar to what happens with low blood sugar. This progresses to forelimb paralysis. Reflexes are lost, but the pup retains sensation and consciousness as the paralysis worsens. She's able to feel your touch or a needle prick, but can't move or respond. Eventually, the affected dog is immobilized and unable to stand, walk, or even raise her head. If the clinical signs are not arrested, they will lead ultimately to respiratory failure and death. How Is Tick Paralysis Diagnosed? Diagnosis is based on characteristic signs, as well as the presence of the parasite. Your vet will try to find the tick and send it for testing to determine the species and potential for carrying disease. Treatment is simple; remove all the ticks, and paralysis will normally disappear within a few hours. Often, a tick treatment is used even if ticks are not found. Use an approved insecticide and mechanically remove all visible ticks. When the signs have progressed to a great degree, treatment to counter respiratory distress, fluid therapy to deal with dehydration, and possibly antiserum may be necessary to save the dog's life. The effects of the toxin are made worse by higher temperatures, so it's important for the puppy to relax and not exercise until fully recovered. Some dogs continue to have issues with vomiting and loss of appetite, and your vet may recommend a special diet to speed recovery. Prognosis for recovery is usually good, and puppies and dogs typically suffer no permanent damage. Dogs that have suffered a bout of tick paralysis develop only short-term immunity and can suffer another episode should they again be exposed to a toxic tick bite within as little as two weeks of recovery. Protect your puppy by using appropriate tick preventatives.